As if trying to buy a home in this market weren&#39;t already tough enough, foreign investors are making the dream of homeownership in metro Denver even tougher. DENVER -- As if trying to buy a home in this market wasn't already tough enough, foreign investors are making the dream of home-ownership in metro Denver even tougher. International buyers started flooding the market a few years ago, and analysts say that trend will continue in 2019. Last year alone, foreigners invested $153 billion in U.S. homes, according to the National Association of Realtors, with more than $1 billion of that spent here in Colorado. Canada remains the largest foreign investor, sinking $20 billion into U.S. real estate last year, followed by Singapore, France, China and Germany. The mountains, the sunshine, the recreation – we all know what makes Colorado so special. Unfortunately, the secret's out. Colorado has become a hot spot for international buyers. Analysts say U.S. real estate continues to look attractive to foreign investors, in particular, states like California, Texas, Florida and Colorado. But Abbey says there are negatives that come along as well. “The bad thing about it is they have a decent amount more money than your typical, everyday, average home buyer,” Abbey said. 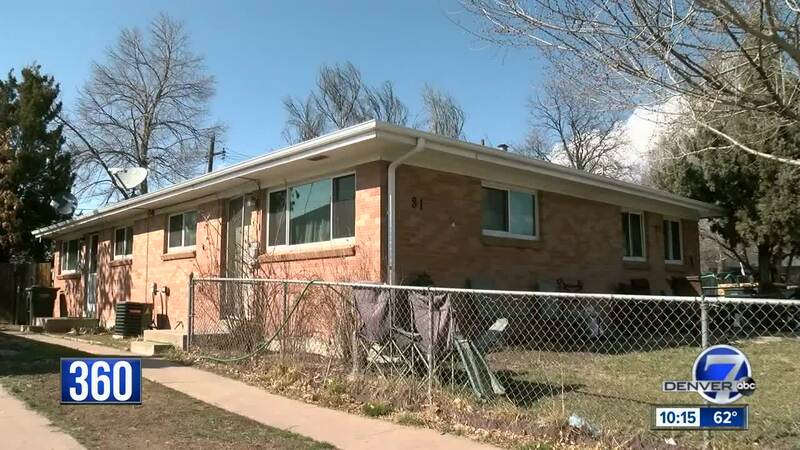 Denver7 took a look at what the investors are saying, what experts think, how it's impacting you as a seller and what it means for you as a buyer. Experts say the harsh reality is that not only do foreign investors like Colorado, they're willing to pay 10 to 30 percent more than a property's value. “They do that knowing that our market is going in a positive direction,” Abbey said. “So, on a $500,000 house, they're happy to pay $550,000 (snaps finger) just like that – without even thinking twice." Abbey says it boils down to simple economics for those international buyers. "They look at economic indicators like the unemployment rate.” Abbey said. “We have one of the lowest unemployment rates in the country." International buyers are looking to make money, plain and simple. Williams saw a major opportunity to expand his property portfolio in Denver nearly 10 years ago. "I've been happy ever since," Williams said. He now has multiple rental units in Denver. "It's really about how much cash flow I get in every month, but also how much money I can make off this house,” Williams said. “I bought my first property for $134,000. Now, it's probably worth about $320,000. There’s always issues here and there, but they're minor issues for what I'm making on the house." Williams says the key is finding and keeping good tenants. "I'm not greedy with my rents,” Williams said. “I keep my rents below market value, so I keep the tenant happy. I'm happy. Everybody's basically winning." These international buyers are also attracted to certain areas of town, like the University of Denver, which is surrounded on all sides by residential neighborhoods. Rent is consistent with a constant flow of students, making it less susceptible to downturns and crashes in the market. Williams targeted Aurora near Colfax and I-225 for a similar reason. "I thought Aurora, close to the Anschutz Medical Center, close to light rail, and the potential that I thought it was a great area to invest in," Williams said. And that brings us to homeowner hopefuls. “I’ve cried many times,” said Katelyn Crawford. She and her husband, Spencer, spent several months looking for their first home in Denver and Aurora. “It's just a really hard process," Crawford said. The couple finally found a home, but only after submitting offers on about a dozen homes before they finally landed in Aurora. "It's very competitive out there,” Spencer Crawford said. “It's tough." Already feeling squeezed out, international buyers are making it even more difficult. For sellers like Kieran Browner and his wife, Ashley, it’s been a mind-boggling process. “The entry point is really tough for people," Ashley Browner said. The Browners sold the home they were living in and a rental home within the past six months. One home was in Denver’s Sloan’s Lake neighborhood, the other was close-by in Edgewater. "We were amazed at the price we could sell it for. But they were from California so they, I think, couldn’t believe how cheap it was," Kieran Browner said. The Browners moved from Sloan's Lake to Golden, needing more space for their growing family. And while the selling came easy, the buying was a different story. "It's miserable,” Ashley Browner said. “It's so competitive." They had multiple offers on the home in which they lived. "We had multiple offers from investors,” Kieran said. “But we actually sold the house to a young couple." And that's where local buyers may still have an advantage. At times, you can appeal to a seller as someone who can invest more than just money into a community. "That made a difference that we were selling to a person rather than [an] investor," Kieran said. The bottom line: International buyers view the Mile High City like they did San Francisco and New York a few years ago. "They see Denver as not being a bubble, but having all the infrastructure in place to be that next big city," Abbey said. Williams’ advice is to get in if you can. "The best time to buy was yesterday,” Williams said. “Everything's increasing. So, you should have bought yesterday and you should buy today.” Williams has become a U.S. citizen since first investing in Colorado and is now the head coach of the Glendale Raptors professional rugby team.